We were inspired by @romylondonuk to make some protein balls of our own. 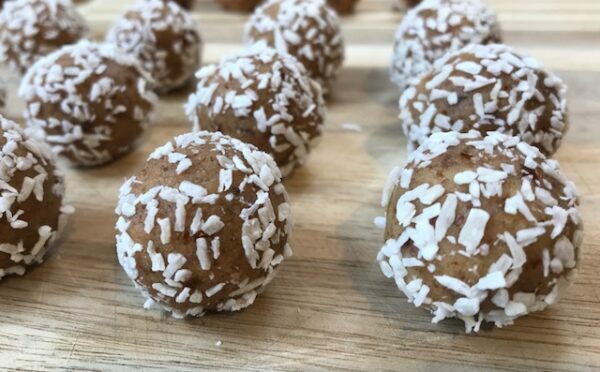 These almond, vanilla & coconut balls are the perfect healthy snack or post workout fuel! Vegan, dairy free, gluten free, plant based, raw – they tick all the boxes! Combine all ingredients, apart from the desiccated coconut, in a food processor and blitz well. Roll into 9 balls, and coat in the desiccated coconut.